Pete Winkelman he will have to change his approach in hiring a new MK Dons manager after failing in his last two quests. 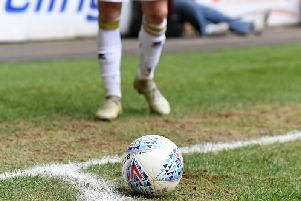 The Dons chairman said the decision to hire Robbie Neilson and Dan Micciche were made with the right intentions, but ultimately ended in failure, leaving Dons on the brink of League 2 football for next season. Keith Millen has been put in charge for the final three games, and isn't out of the running for the full time job next season, but Winkelman said he can't afford to make the same mistakes he made in hiring Neilson and Micciche. He said: "We've made two bad managerial decisions, but for the right reasons. My head ruled the Robbie Neilson signing, he had a great track record and he had some fantastic people telling me what a great job he was doing. In a way, I wish he hadn't finished the season so well because it gave us false hope. We backed him in the summer, we've spent an awful lot of money. "With Dan, it could have worked but it didn't. It wasn't stupid and more people bought into it - I thought I'd be more vilified than I was at the time. But we have to be brave enough to say it didn't work, whether I like it or not. "Sometimes, you have to change managers three times in a short period until you get the right manager. I don't like changing manager - I find the whole process really difficult. It feels like a never-ending thing for me recently. But you have to go forward. "We will have to approach it differently this time because it's too much responsibility to shoulder personally. I don't enjoy it. For all the glory, in football you have to go with this rubbish too, and it has been rubbish. It's not acceptable and we have to do something about it and we have to keep doing something until it's right again. "I want to apologise to the supporters because this is not what we expect from our football club, and not what i want. I certainly didn't go into this season thinking any of this would be a possibility, and maybe that was naive. Football reminds you that everything can get worse. That horror made me make the change, and if you're thinking it, we have to do it straight away. In the past, we haven't made it as quickly as we should have done. I'm so disappointed, it's my responsibility."